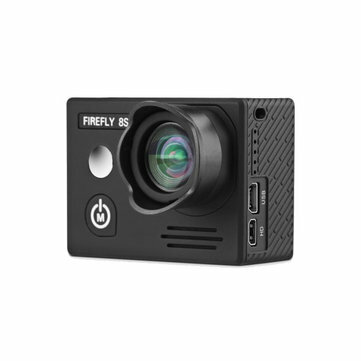 The action camera HawKeye Firefly 8S no distortion version offers six-axis gyro video stabilization that can produce very stable video image without losing any view angle. 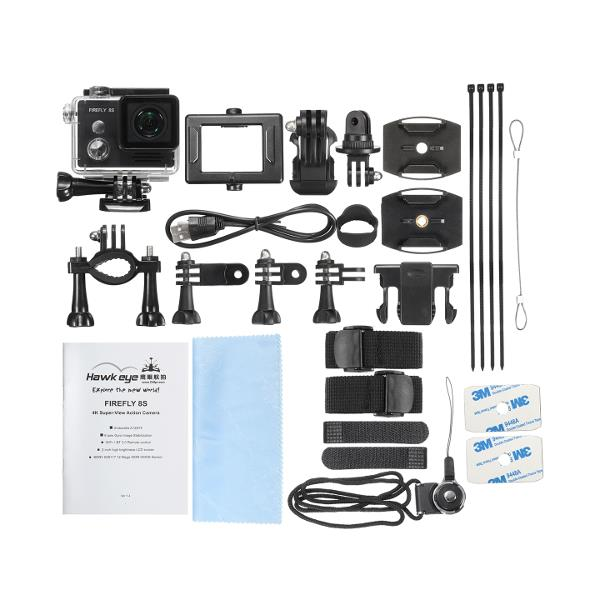 With the 90 degree lens, the sports camera can shoot more realistic and vivid images without any distortion, restoring the details of the beautiful scene. The equipped processor will provide you with real 4K videos and pictures. 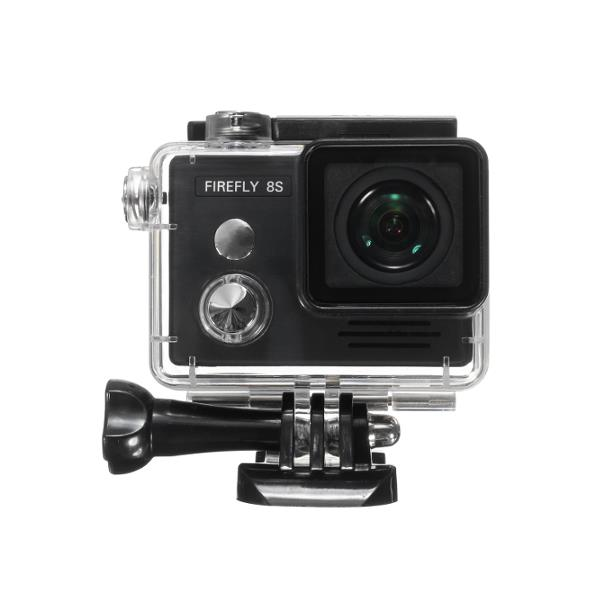 What is more, the sports camera supports bluetooth remote control and external microphone, thus, you can capture photos and videos more easily and clearly. 90 degree FOV, with no distortion. Equipped with Ambarella A12S75 chip, presents high quality videos ( 4K / 30fps, 1080P / 120fps, 1080P / 60fps Super-view, 720P / 120fps ). Top-level IMX117 image sensor, producing very good wide dynamic range imaging effect. Low illumination performance, present good video quality and vivid color even in low light environment. Support bluetooth remote controller ( not included ). Support external microphone ( not included ). Two different versions with different lenses available: a 170 degree FOV model and a non-distortion version with 90 degree lens.